There are two things to know about Alibaba, which filed for an initial public offering in New York on May 6. First, China’s dominant e-commerce company is huge, and could be even bigger. Second, new investors will have little say in how it is run – the founders are keeping a firm grip. Last year, Alibaba processed 11.3 billion orders with a value of $248 billion through its main sites, Taobao and Tmall. That’s two-thirds more than Amazon and Ebay combined, and a staggering 84 percent of China’s total online shopping haul. 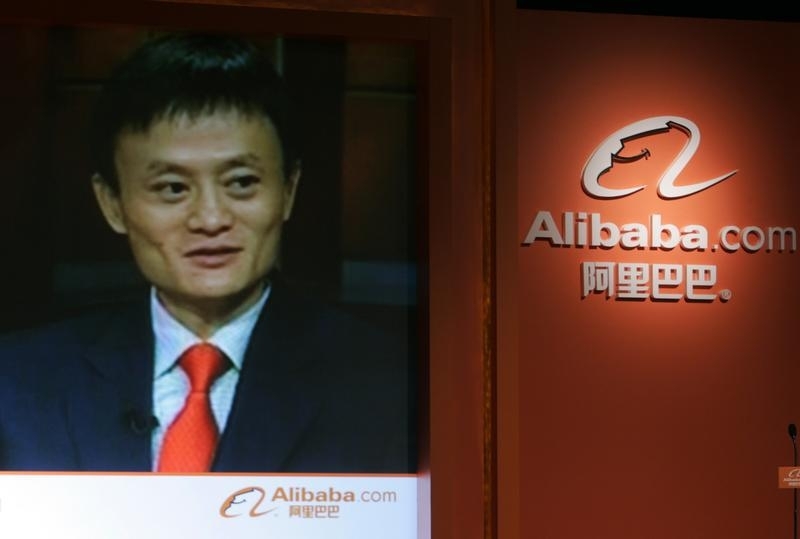 Unlike most online retailers, Alibaba doesn’t sell or deliver goods itself. Instead, it acts as a shop-front, charging sellers for advertising and taking some commissions. Growth will come from two sources: increased online shopping, and Alibaba extracting more money from sellers. Its revenue of $7.8 billion in calendar year 2013 amounted to just 3 percent of goods sold. By comparison, Ebay’s take is 10 percent. Alibaba’s orders tend to be small – averaging around $22 apiece versus $64 for rival online retailer JD.com. But its dominance should enable it to keep a bigger share. Governance is the sticking point. A group of 28 partners, led by chairman Jack Ma and his number two Joseph Tsai, will nominate the majority of Alibaba’s board of directors. Big shareholders Yahoo and Softbank have pledged to back the partners’ choice, ensuring that a majority of shares will vote in favour. The theory is that this structure is more democratic than the super-voting shares used by the founders of rival tech companies like Facebook and Google. But it’s also less transparent, and therefore harder to value. Alibaba’s partnership will remain in place unless 95 percent of shareholders vote to dissolve it. Though Ma and Tsai can be removed by a simple majority of the partners, the chances of that happening seem remote. It’s understandable that Alibaba wants to preserve the culture that contributed to its extraordinary success. New shareholders can have no doubt about who calls the shots. But business conditions and cultures change. Alibaba has been rapidly expanding into new areas, from internet TV to mapping and online video, where the founders may be less expert. Growth without good governance is like an online retailer without a returns policy. Alibaba Chairman & Non-executive Director Jack Ma participates in a teleconference in Hong Kong October 22, 2007, one day before its initial public offering in the territory. China's biggest e-commerce firm, Alibaba.com Ltd, plans to raise as much as US$1.49 billion after heavy investor demand led it to increase the price range for its Hong Kong IPO. Alibaba, China’s biggest e-commerce company, filed for an initial public offering in New York on May 6. The company did not say how much it hoped to raise. The company processed $248 billion of goods in 2013 on its main sites, which include Taobao and Tmall. Its revenue for the calendar year of 2013 was 49.2 billion yuan ($7.9 billion). The company’s operating margin was 48 percent. Alibaba’s accounting year ends in March. China’s total online retail market was valued at 2.4 trillion yuan ($296 billion) in 2013, according to data from iResearch cited in the filing, implying that Alibaba has an 84 percent market share. Yahoo, the U.S. internet group, owns 23 percent of Alibaba’s shares, while Japanese technology conglomerate Softbank owns 34 percent, according to the filing. Yahoo has agreed to sell shares in the offering, either to the market or back to Alibaba. A majority of board directors will be nominated by a partnership of 28 people, including founders Jack Ma and Joseph Tsai. The partnership cannot be dissolved unless 95 percent of Alibaba shareholders agree. Ma and Tsai are members for life, though any partner can be removed by a simple majority of the partnership. Softbank will support the partnership’s nominees, and place votes for any shares exceeding 30 percent of the company into a trust to be voted by Ma and Tsai. In return, Ma and Tsai will also vote in favour of Softbank’s director at the annual general meeting. Yahoo also pledged to support the partnership’s board candidates.